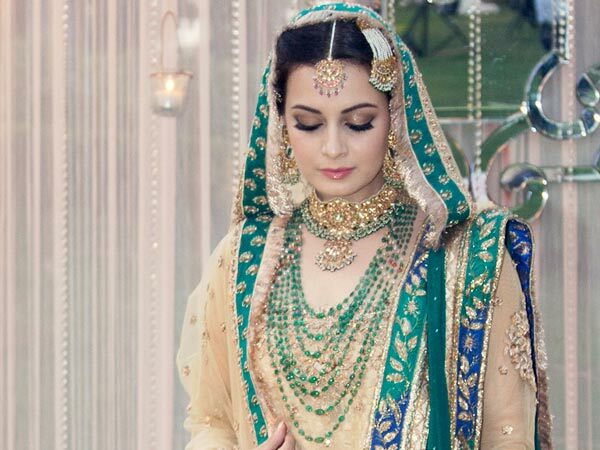 Are you all set to look stylish this Eid? 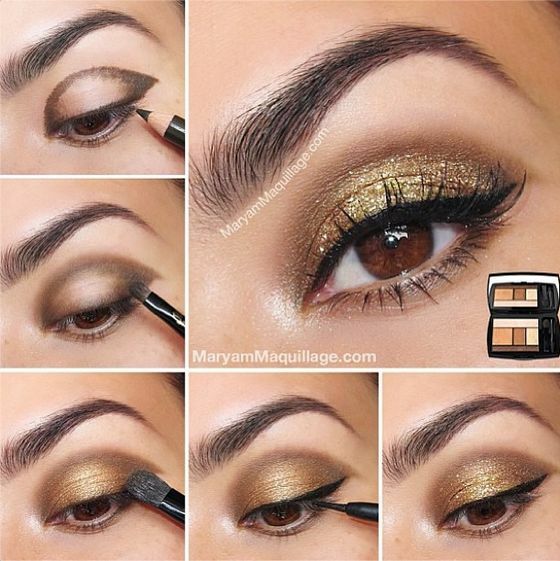 Here are 6 easy steps on how to do gorgeous eye makeup with products stocked up at home! Eid-ul-Fitr is just around the corner. It’s time to break the month old fasting and relish the various mouth watering delicacies including meethi sevaiyyan. Perk up your spirits and make the most of this festival by adorning your finest clothes and jewelry, putting up your best makeup. So today we have got you 6 easy steps for how to do stylish eye makeup at home for Eid-ul-Fitr. 1. Begin with using a primer on your eyelids: Primer not only prevents creasing and help your eye shadow stay in place but also helps the pigment to stand out and look more vibrant. Don’t forget to apply a veil of transparent powder under your eyes before you begin your eye makeup to take care of any eye shadow fallout. 2. Accentuate your eyes with a sultry gold eye shadow: Gold looks unparalleled on black eyes and also goes really well with the festivity. So start with highlighting your brow bone with a matte beige eye shadow. Now apply a medium brown on the crease of the eye to add depth and a darker brown on the outer ‘>’ of the crease. Blend out any harsh edges near the crease with a clean brush. Now fill your eyelid with gold eye shadow up till the crease. Next, apply the gold shade across the lower lash line for that extra bit of drama. Lastly, highlight the tear duct with some shimmery gold. 3. 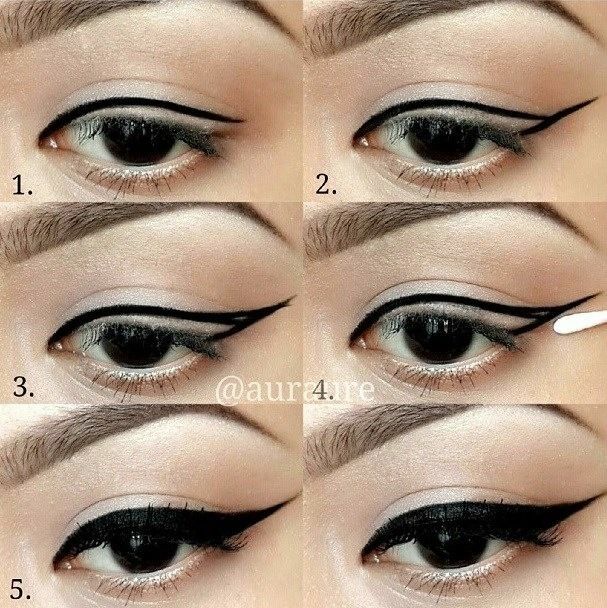 Go for a dramatic wing tip eyeliner to add more dimension to your eyes: Use a pencil or liquid eyeliner for the same. Start from the inner corner of the eye, making an outward stroke close to your upper lash line. Now draw a line at 45 degrees beginning at the outer corner of your lower lash line. Next draw a second line starting from the inner corner extending all the way to meet the angled line that you drew. Now fill in color between these two lines and you’re ready with a perfect wing tip. 4. No eye makeup can be complete without the kajal: So draw a thick line on your lower lash line with a kajal stick and carefully smudge it with a Q-tip to give it a blurred, softer look. In case you have small eyes and want to give them an illusion of being bigger, then try this simple trick. Line your lower lash line with a white eye pencil, followed by a black one outside it. 5. 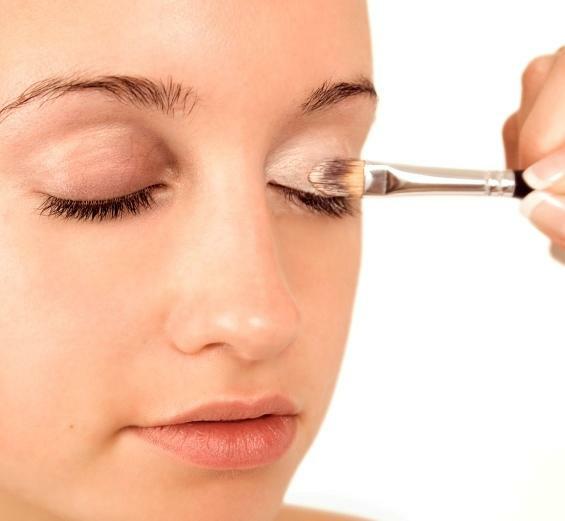 Now it’s time to do up your lashes: Pick up an eyelash curler and heat it up with a blow dryer. Now carefully use it to curl your lashes. Follow up with a mascara, doing away with all the clumps. 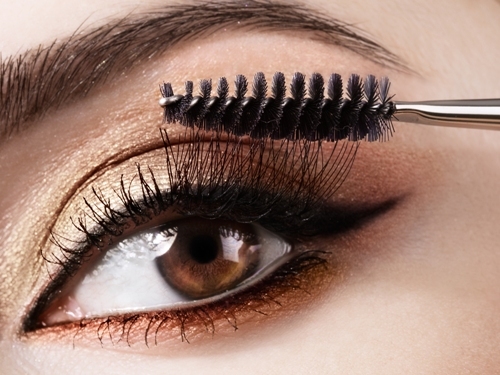 Also work the mascara wand horizontally, to separate any lashes that may have stuck together. 6. Use a brush to sweep away the powder: Now with the flick of a clean brush, sweep away the powder under your eyes and with it also any traces of eye shadow pigment that found its way under your eyes. Matching your eye shadow shade with your outfit is not a good idea and you might just end up looking hideous. Hues of golds and bronze are a safe bet for Asian skin tones and work brilliantly for black eyes. Well kept eyebrows only add to the sensuality of your eyes. So make sure you take care of any flyaway before you begin with your makeup. Fill up your brows with a matte eye shadow, in case you have sparse eyebrows. Always highlight only one feature on your face. So it is highly recommended that you keep your lips understated when you’re doing up your eyes. So follow these simple steps and let your eyes take center stage this Eid-ul-Fitr.